Here are some new bonus codes for free chips in online casinos, without deposit. NYFORTUNE comes with a 30X wagering requirement (60X for table games and video poker), a $100 max allowed cash-out, and is good for play in all allowed games. Chip amount is considered cashable and will not be removed from the amount of your withdrawal request. 15 Free spins will be credited automatically upon redemption of coupon code NYFORTUNE. You must play all of the spins before moving on to another game. Spins come with no additional wagering requirements and no added restrictions on withdrawals. 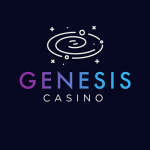 $100 FREE CHIP TERMS: Free chip comes with a 30X wagering requirement (60X for table games and video poker), a $100 minimum/maximum allowed cash-out, and is good for play in all allowed games. Chip amount is considered cashable and will not be removed from the amount of your withdrawal request. No multiple accounts or chips in a row allowed.